It’s the weekend!!! Yippee!!!! I’m just popping in to tell you that Craftsy is having a huge Spring Sale and it includes Two Buttercream Classes I’ve been DYING to watch!! I’m so excited about this sale because I’ve been waiting and waiting to sign up for two of the newest classes! Want to know which ones? I’ll give you a hint… they both involved BUTTERCREAM!!! First, Buttercream in Bloom : Luscious Piped Flowers. 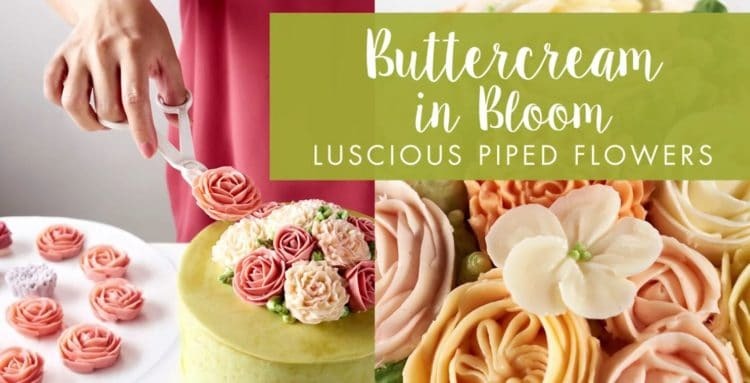 With all of the buttercream wreath cakes and other amazing buttercream flower cakes that are super popular right now, this class is just a must have for anyone wanting to get in on that trend! I’m super excited to see this class under $20 and I will be adding it to my library! Next up (and even better! 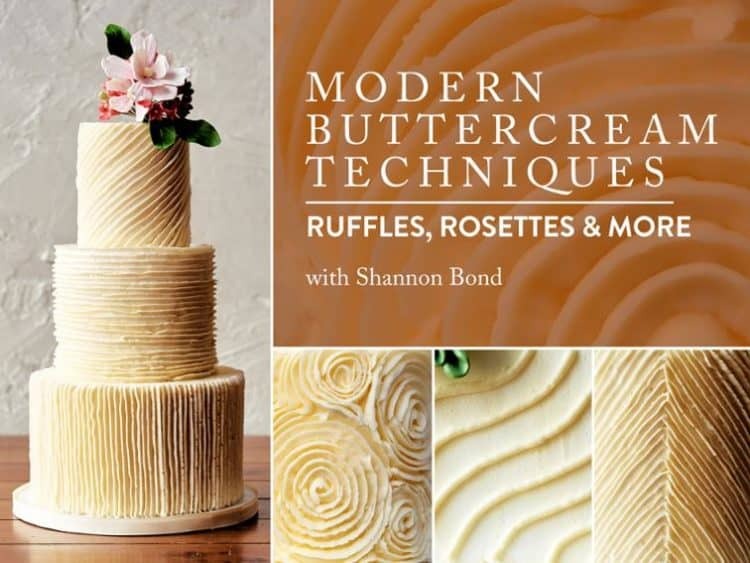 ), is Shannon Bond’s new class: Modern Buttercream Techniques – Ruffles, Rosettes & More. Shannon Bond is one of my all-time favorite decorators with her flawless designs and mind-blowing techniques. Just looking at the preview pictures, this class is not going to be a disappointment. 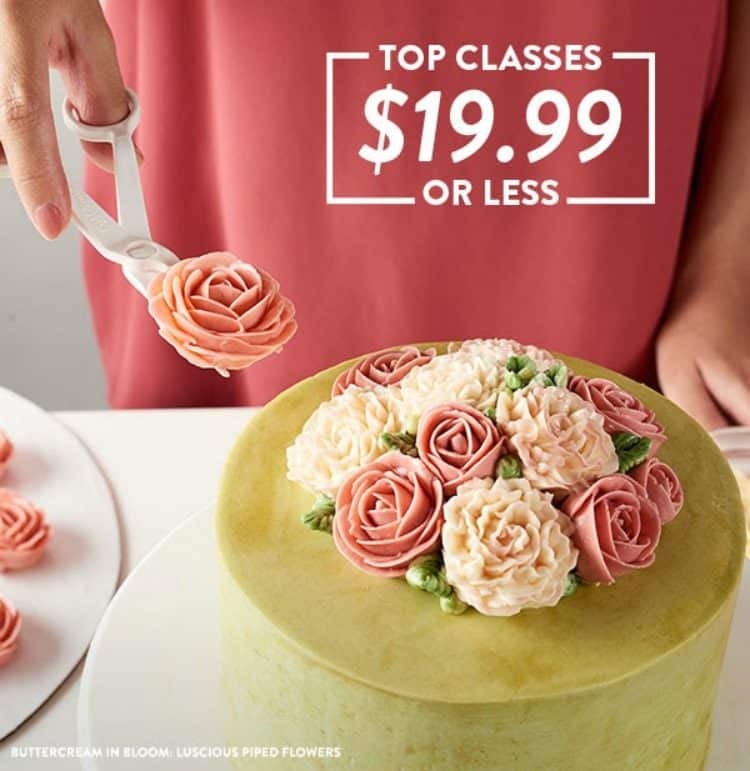 I’d easily drop way more money than $20 to watch Shannon Bond work her cake magic so this class is a huge bargain at this price (normally it’s $39.99). Don’t you think? It will be added to my library as well while it’s 50% off! Okay – so that’s all I’ve got for you tonight. 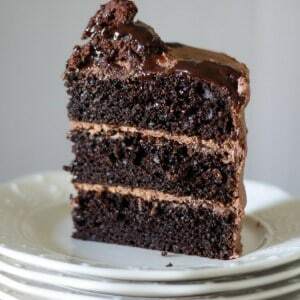 I’m off to fill and frost a cake, then get some sleep before doing all the decorating tomorrow! CLICK HERE TO SHOP THE TOP CLASSES SALE!! *Offer valid on select Craftsy classes. $20 and under class offer is in USD. Excludes The Great Courses. This sale ends at 11:59 PM MT on April 10, 2017. With the petit fours, is it possible that I can bake them in a silicon square mold? I’ve never used that kind of pan so I’m not sure.